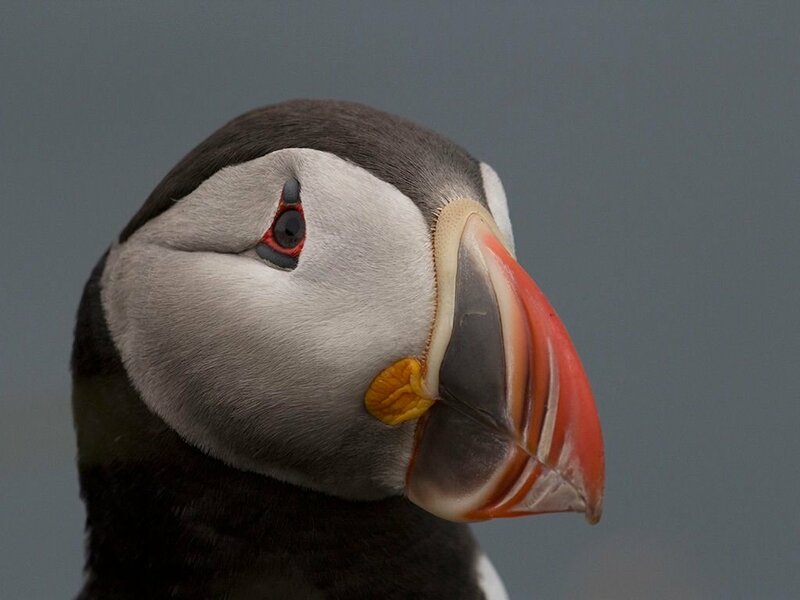 Látrabjarg Puffins – a close encounter of the feathered kind! 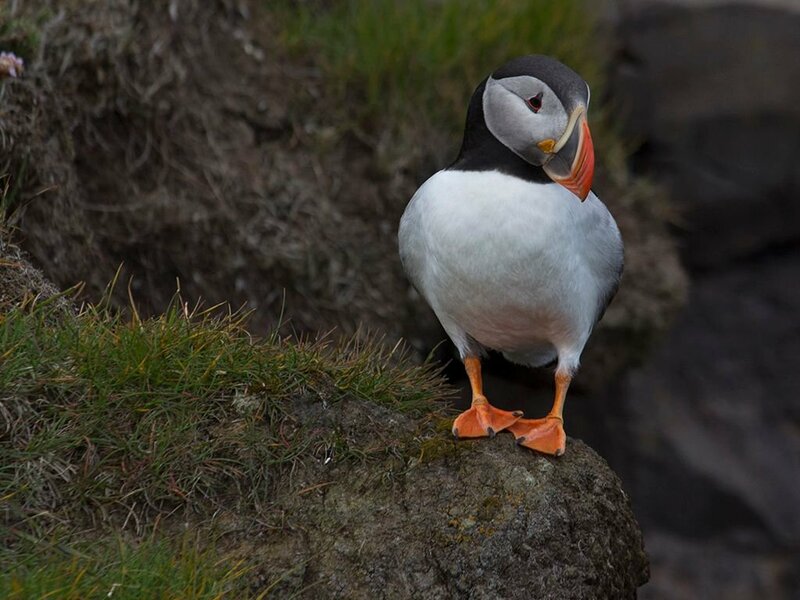 Látrabjarg is one of Europes biggest bird cliffs and considered one of the most spectacular in the world. At 14km long the height peaks at 441m and is the westernmost point in Europe. 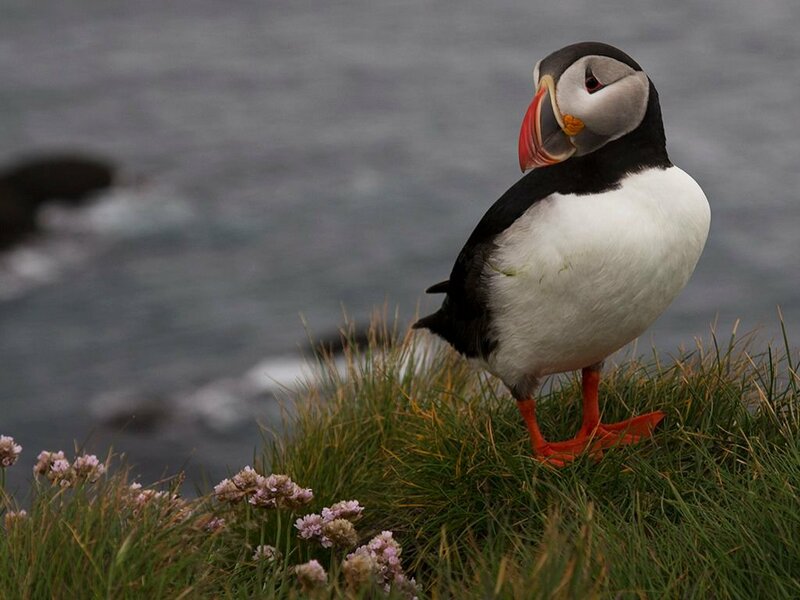 It is home to an unfathomable amount of various birds, but the reason we are here is for the puffins. 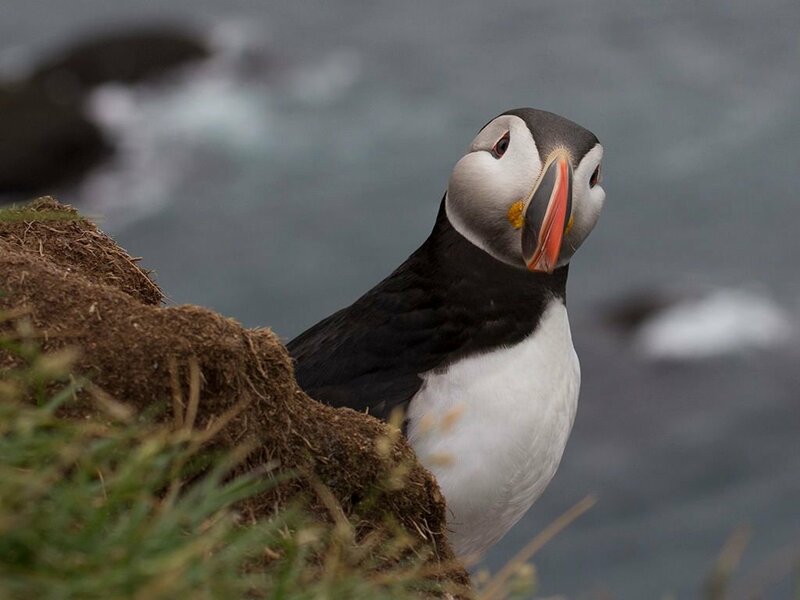 With around 10 million puffins in Iceland between May and August, we were hoping to see at least 1 of them! The cliffs are dizzyingly steep, so safe from predators the birds are fearless and provide the best bird photography for dummies. This trip was, of course, a big gamble too. We had only given ourselves 1 evening here and the chances of the weather being absolutely perfect were slim. Camping at the nearby Hotel Breiðavík, which was only a short drive away from the cliffs, we were eager to get to there after pitching the tent. 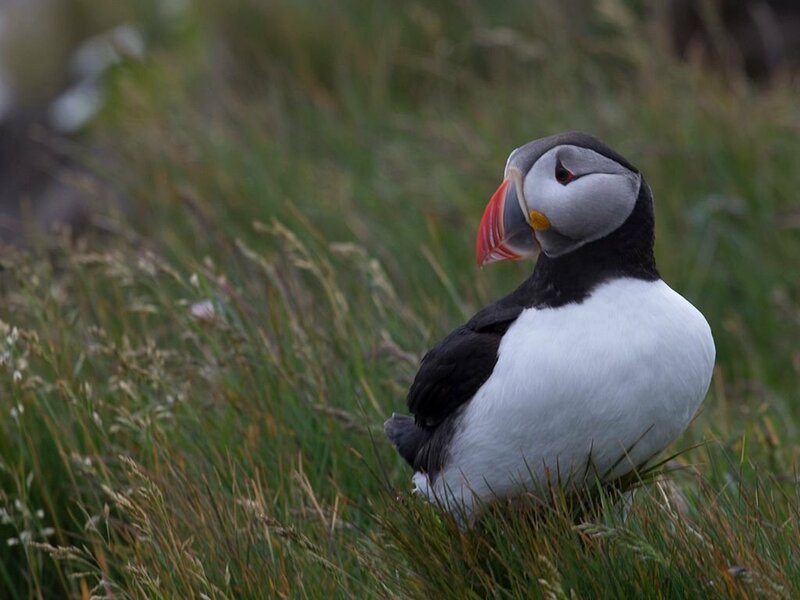 However, we were told that the best time to view the puffins would be in the evening after dinner. So reluctantly we started boiling the water for pasta, rice and/ or soup. They aren’t afraid of heights! With (and early) dinner done and finished we decided to make our way to the cliffs – excited wasn’t the word! The weather was perfect, gorgeous sunshine with not much wind. We had lucked out big time with this! 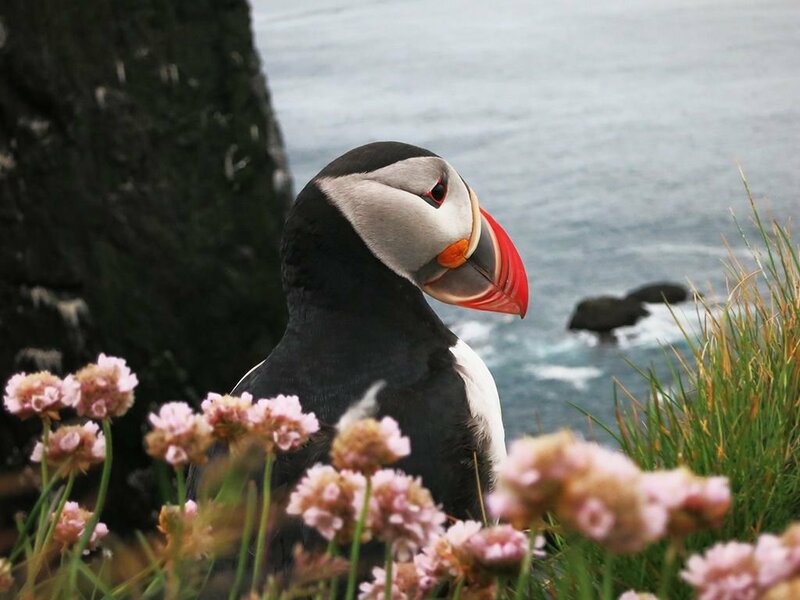 Surely there had to be puffins out and about enjoying the gorgeous evening right!? We pulled up at the car park and got ourselves and our gear ready. 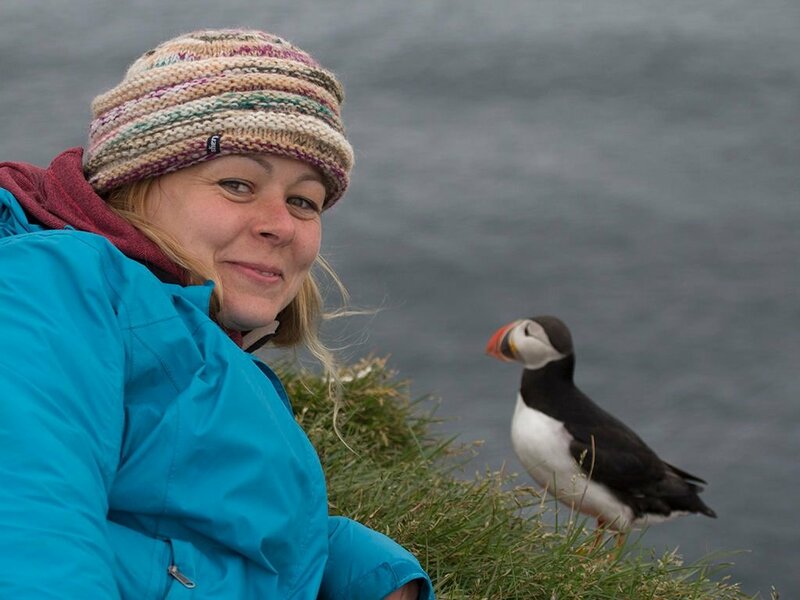 If the puffins were here we had planned on staying for the long run – multiple clothing layers etc. This was our only time here and had to make the most of it as we had to leave early the next morning to catch a ferry to the Snæfellsnes peninsula. From the car park, we walked about 100m uphill to the edge of the cliff. There didn’t seem to be many people here, well, not as many as I was expecting. With the lack of people, I began to wonder if there were puffins here after all. I tried to gauge the mood from a distance. Did they have their cameras out? If they did, were they here for the puffins or other birds? On reaching the edge of the cliff, I needn’t have worried! 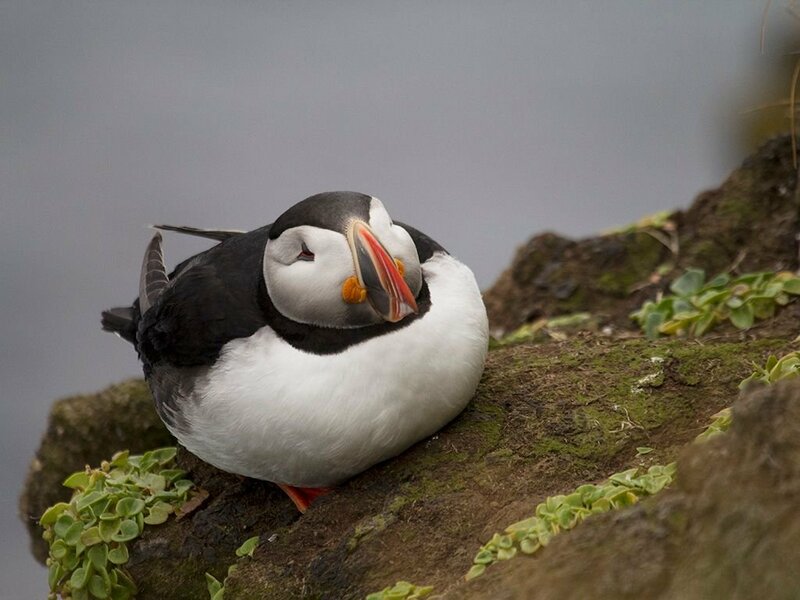 There were puffins everywhere! We walked around for a bit before finding a spot to watch these amazing birds. Using the method of low and slow, we would find ones we wanted to watch and approach them quietly. By doing this I couldn’t believe how close we were able to get to them, they just seemed so unafraid of us, carrying on with their daily routines like we weren’t even there. They would pop in and out of their nest and fly out to sea before returning. You could see their body language change when someone would towering over them making a racket! After watching one group, we moved on to the next, then the next and so on. This was when the real magic happened. The puffins in this one area were particularly fun to watch, one almost seemed to be dancing at one point! I had laid down on my front and got as close to the edge as I could – 1. I have a fear of heights so laying down reduced this being on the cliff edge and 2. The cliff’s edge at Látrabjarg can crumble away so spreading your weight is the sensible thing to do! We had been here quite a while now and this pair of puffins had seemingly forgotten I was there. 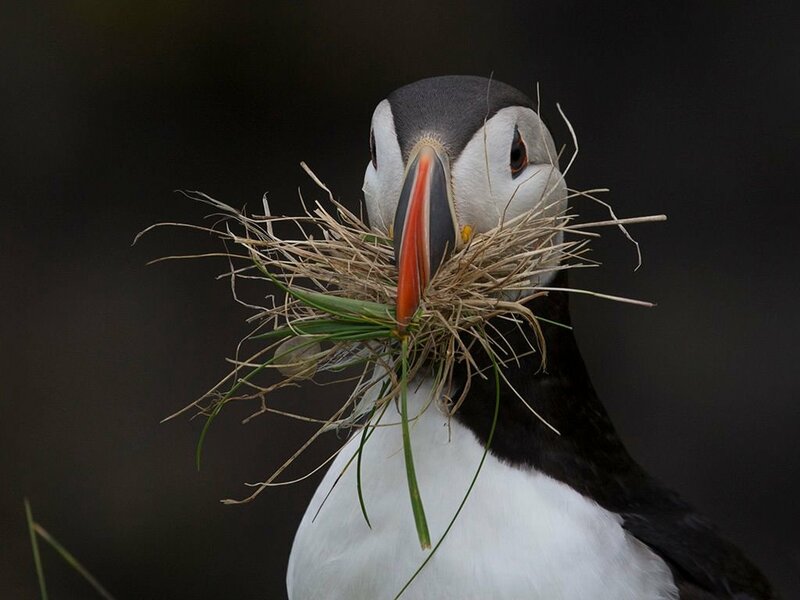 So much so that they began to jump up from their nest to the cliff’s edge, which was right next to my head, and began to gather grass in their beak. They were too close for me to get a photo, not only that I didn’t want to scare them by flapping around trying to get ‘the picture’, so I just sat quietly and watched them picking grass just inches from my head. Luckily ‘him indoors’ was a bit further away from the edge and was able to catch the gorgeous photo below. They then waddled off a few feet away, jumped off the cliff and flew back to the nest. They did this quite a few times before stopping as a guy had now come to watch them and had stood behind me making quite a bit of noise shouting to his other half to “come here” whilst looking like a maniac trying to work his camera. By now it was getting late, and we had to head back in order to get a bit of sleep before catching the ferry in the morning. 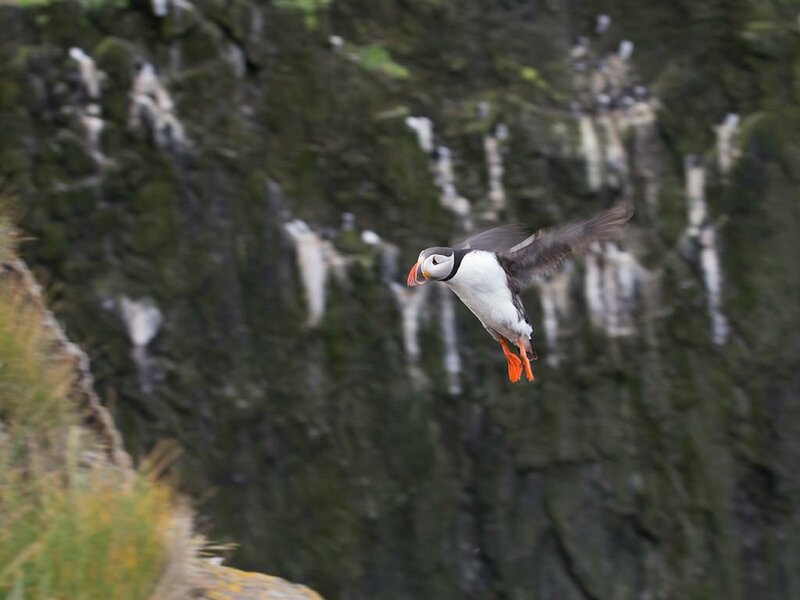 Neither of us wanted to leave and both managed to play the game of “come on then… let’s go” stand up, take a few steps before stopping to watch the puffins again! However eventually, we had slowly ‘caterpillared’ our way down back to near the car park. Back at the car, we dumped our gear in the back and got in. Taking a minute we just looked at each other and just started laughing, probably a bit overwhelmed by what we had just experienced!Now I have to give most of the photo credit to ‘him indoors’ – he’s not too shabby with a camera every now and then. However, even a complete novice like me can take some pictures of the puffins being as how close you get – even on a phone!